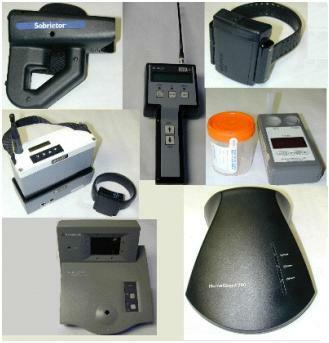 The Electronic Monitoring Program was established in 1991. It serves as a direct alternative to incarceration, with a primary goal of diverting offenders from incarceration and offering sentencing options for District Court probation violators. The program has expanded the use of monitoring technologies since the initial implementation of "tether" equipment, to include in-home alcohol monitoring and Global Positioning Satellite (G.P.S.) monitoring. Participants pay the daily fees for the monitoring equipment. They are considered to be under "house arrest" and receive permission to leave for authorized activities such as court hearings, probation appointments and for employment. This program also serves as a jail overcrowding option. Defendants are released from jail with Electronic Monitoring as a condition of their pretrial bond. Violations of program rules and bond conditions are brought to the attention of the Court. Land line telephone service in the home, sufficient ties to the community and jail bound due to charge. Felony offenders are a priority as well as OUIL(drunk driving) and Domestic Violence cases.